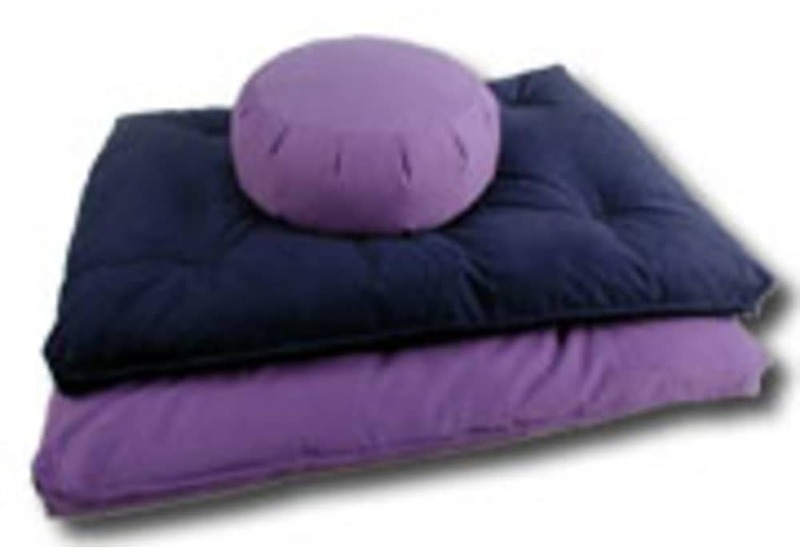 Zafus work better on top of our traditional zabuton cushion. Our all natural zabuton meditation mat is handmade from 100% organic, chemical-free, "Green", 10oz. cotton duck for its shell. It is filled with pure, 100% organic cotton batting to provide a cushioned surface for your ankles and legs for stress free meditation. Includes a similarly 100% organic cover in natural color. Size: 26" x 32" x 3"